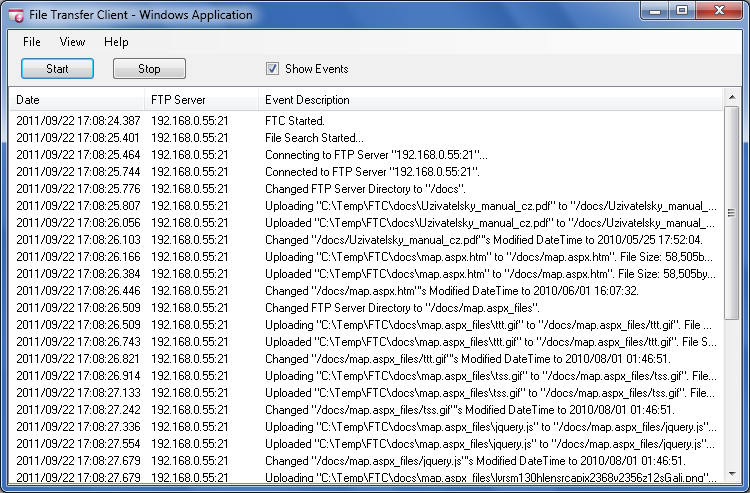 File Transfer Client™ (FTC) is a windows application and service that allows local directories to be monitored and their contents to be automatically uploaded to a remote server. 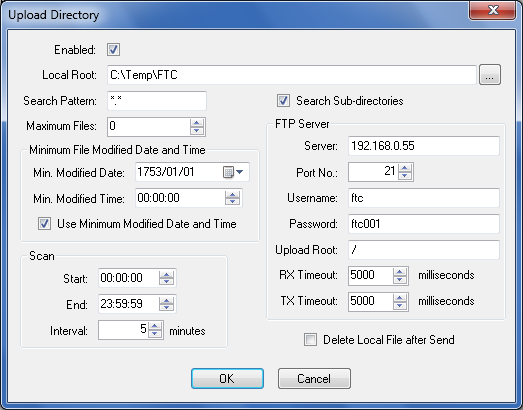 The File Transfer Client™ is ideally suited to applications where files are being created on the local or networked computer and need to be automatically uploaded to a remote computer via the internet or WAN. File Transfer Client™ allows the user to pre-configure any number of directories to be monitored. 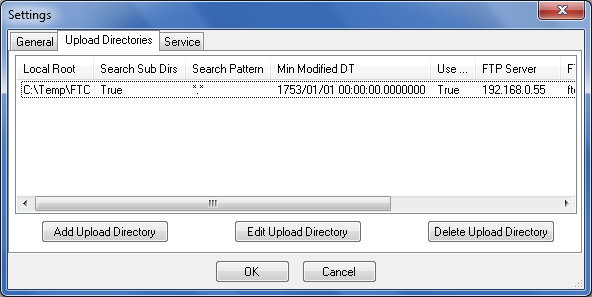 Each directory monitored by the File Transfer Client™ has . (Johannesburg, Gauteng, South Africa) 7 Used for the uploading of transaction images (taken by the "wastecam" using our WATS™ weighbridge software) to a central server, where they are displayed using our WATS web-reporting solution. (Bloemfontein, Free State, South Africa) 2 Used for the uploading of transaction images (taken by the "wastecam" using our WATS™ weighbridge software) to a central server, where they are displayed using our WATS web-reporting solution. (Gauteng, South Africa) 1 Used for the uploading of transaction images (taken by the "wastecam" using our WATS™ weighbridge software) to a central server, where they are displayed using our WATS web-reporting solution. (Gauteng, South Africa) 1 Used to upload the latest music playlist information to Mix 93.8FM's web server so it can be viewed by their listeners. If you would like to try out File Transfer Client™, a demo version is available from the Downloads Page.